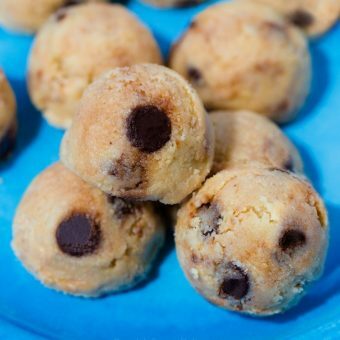 It is so crazy how much this healthy and sugar free cookie dough dip not only looks like cookie dough but actually tastes so much like real cookie dough! 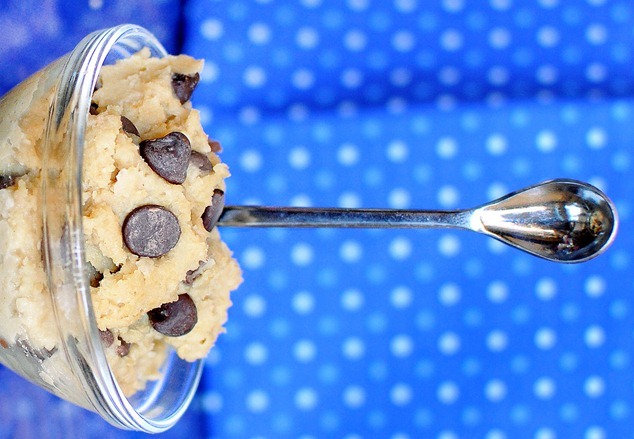 On Friday night, my original Healthy Cookie Dough Dip went viral, with over 2 millions views! It’s been such a wild past few days!!! Thank you so much to everyone who’s been sharing it! 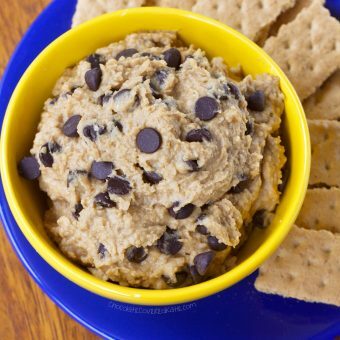 With so many more people finding that post, I spent yesterday afternoon doing something I’d meant to do for a long time: creating a sugar-free version of the cookie dough dip. Since posting the original recipe, I’ve received a lot of requests for a sugar-free option, but until now, the only suggestion I had was to replace the sugar with stevia. I don’t recommend using only stevia in this recipe; very few people will think the result tastes good. Instead, here is a new sugar-free version that does taste good– sweetened only with fruit! Do you ever watch the amount of sugar you eat? A lot of people will probably disagree with me on this, but I don’t believe sugar is the devil. I think it’s fine in moderation. However, it seems like the more sugar you eat, the more you crave. Then it becomes a problem, because–if you’re anything like me–too much sugar makes you feel sick and lethargic. When I was in high school and hated being skinny, I put myself on an incredibly high-sugar diet. (Multiple slices of layer cake and ice cream pints per day. I wrote a post about this, awhile back.) Once I realized the source of my lethargy was all the sugar, I drastically changed my eating habits. Now, since I eat very little sugar, I find that I don’t crave it at all. People always ask why I have a dessert blog if I don’t like sweets. The answer is that I still do love desserts; I just like them creamy and rich, not sweet and saccharine. I might not like sugar, but I sure do love dessert! In a bowl, cover the dates with 1/2 cup water. Let this sit for at least 8 hours. Then add all ingredients (including the dates’ soaking liquid), except chocolate chips, to a food processor (for best results, not a blender) and process until very smooth. 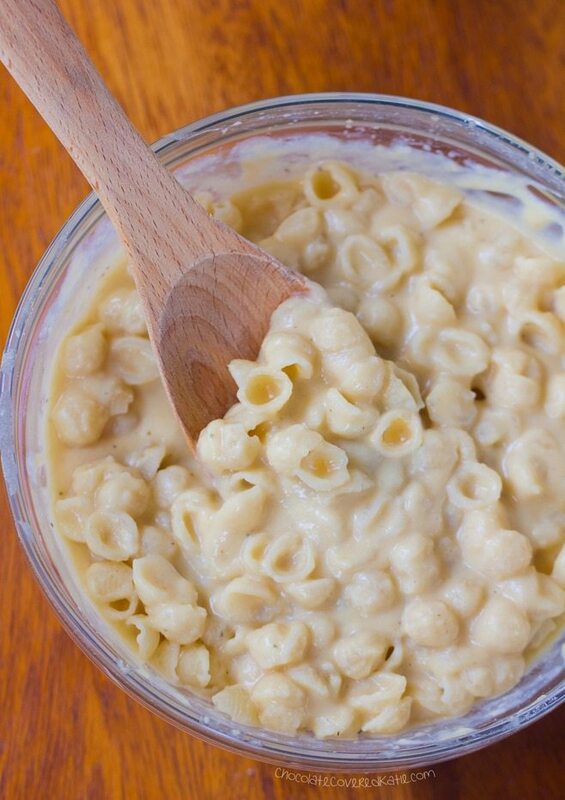 This can be served as a dessert dip, as a spread (maybe in between apple slices or crackers? ), eaten with a spoon, mixed into oatmeal, stuffed into cupcakes, or even used to top pancakes! Black sugar? I have never heard of that! What is it like and where can i find it?! Thank you! Hmmm… I live in Singapore but I’m not too sure. But I’ve heard from some bloggers from US that you can find it in the Asian/Japanese section! 😀 Hope this helps! Hi All, I bought black sugar while living in Hong Kong, assuming it was the same as dark brown sugar. It tasted similar to brown sugar and contains molasses, but also contains some other minerals that give it a subtle but distinct “healthy” taste. My Chinese friends told me that it is a healthy food (like a dietary supplement), but I have my doubts about this. You can buy it on Amazon if you are curious about trying it! That’s interesting, but I’m pretty sure brown sugar is just good old sugar+molasses. My heart is happy after reading this post haha =) Thank you for this! Ideas: as a dessert dip, as a spread (maybe in between apple slices or crackers? Or graham crackers or banana? 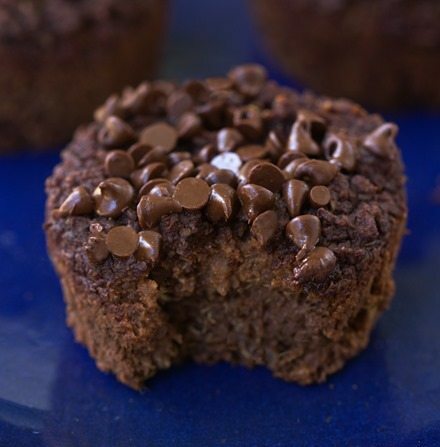 ), eaten with a spoon, mixed into oatmeal, stuffed into cupcakes, or even used to top pancakes! 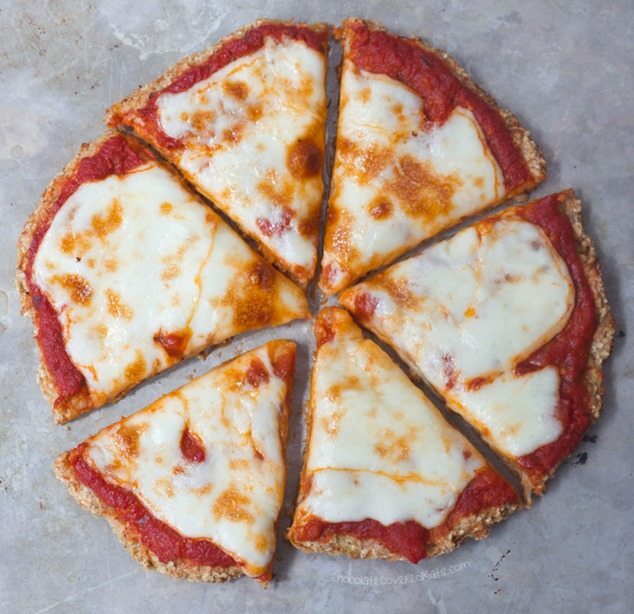 As a “regular person” who was so curious by this recipe, I’ve eaten it with graham crackers. 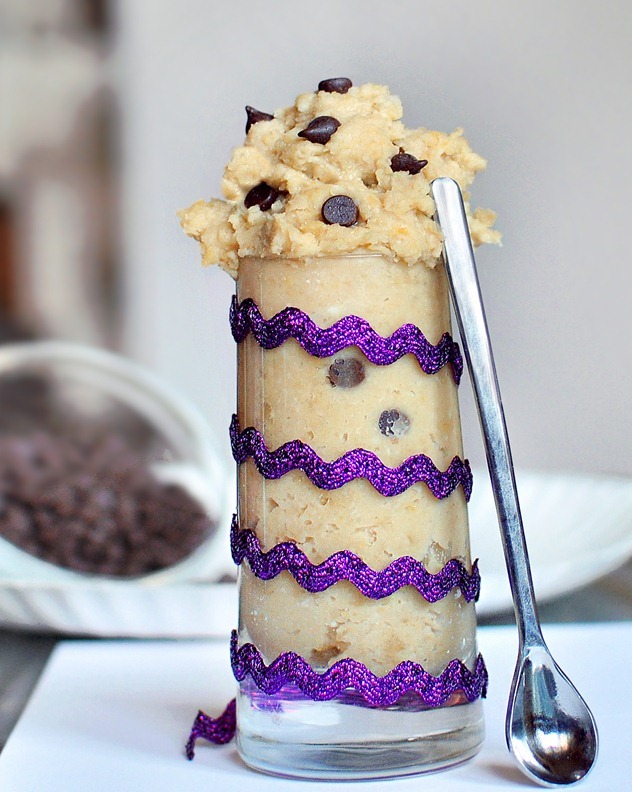 It is truly amazing how much it tastes like cookie dough. I totally agree! The more sugar I consume the more I crave it. I do try to watch how much and what type of sugar I consume, however I have a major sweet tooth so it’s hard at times. I love, love, love this dip and actually really enjoy it only sweetened with stevia. I’m sure the version with dates is delicious also. I wonder how it would taste with some mashed banana? I may have to try that too. 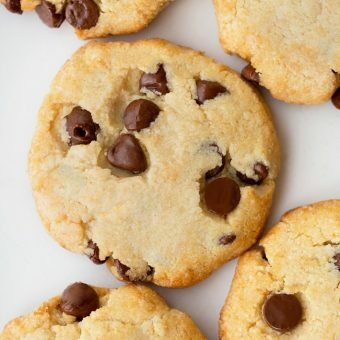 How much stevia did you use in this recipe? I’m not big into really sugar-y things, but that being said, I don’t really watch my sugar intake. Protein is more of my thing, definitely! Yogurt, peanut butter, and black bean brownies all the way! 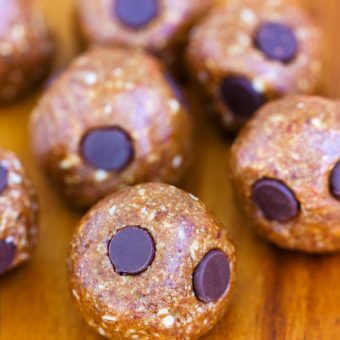 I tried it with a combo of almond and coconut butters. AMAZING! I absolutely CANNOT WAIT to make this (yes, caps were necessary). I don’t really watch the amount of sugar I eat, that being said I don’t like to eat too much sugar, it just makes me feel bleh! I don’t really watch the sugar I eat. I know when I’ve had too much because I can literally feel it coursing through my system. It’s the weirdest feeling, so I tend not eat too much. Although I still LOVE sugar!! Wow, everyone I know has said that they can feel it too. Who knew hyperglycemia was so prevalent! I made the other version this past weekend and everyone LOVED it! (We used graham crackers and celery sticks for dippers.) As I was adding in the 3/4 cup of brown sugar I decided next time I should try to make it with dates as a sugar free version. It’s like you read my mind! 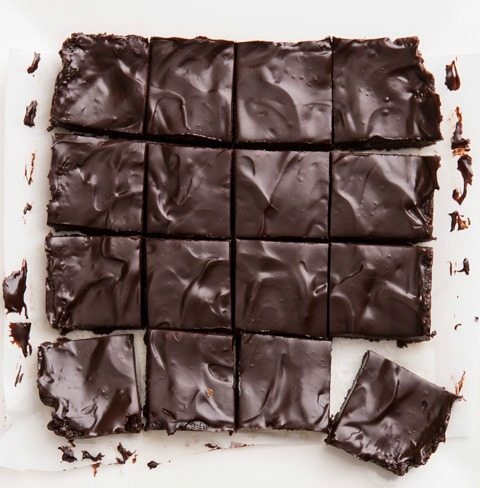 I am definitely addicted to sweets and this recipe looks like such a great alternative. BTW, my sister tried the original recipe a while back using canned chickpeas and didn’t care for it. The chickpea taste was too overpowering for her. When I made it, I used dried chickpeas that I soaked and cooked myself. I also added maple extract after reading the comments on your first post and she thought it was fantastic. I think I’ll stick with cooking my own chickpeas from now on. Cool, thanks for pointing this out. I was actually out grocery shopping this evening and couldn’t decide between purchasing canned chickpeas or just getting bulk dried and making them myself. The cans were really cheap (big weekend sale) and a lot less work, but I know that I easily detect them when baked in anything, even if I’m eating something that I didn’t make and I’m not aware of what the ingredients are. I’m going to go back tomorrow and get the dried beans. I was wondering about that! I made the original version with canned chickpeas as well. And, although I rinsed them well and tried to get a lot of the skins off, it really wasn’t a very tasty treat. It tasted weird and not like cookie dough at all, unfortunately. I think I even tried adding MORE sugar just to try to salvage it. Now I want to buy them dry (less salt maybe?) and make this sugar free recipe! Has anyone tried using white beans? I wonder how that turns out. I quit eating regular sugar years ago. Then I went to Agave. Quit that and try to use dates as sweetener OR coconut secrets products. As usual, your posts always look better than green juice! And I skipped the greens in my smoothie this morning, just because I really wanted something, um, sweet! Oh no…I only have 1 can of garbanzo beans and I have to choose between making this and falafels 🙁 Oh boy. This sounds so good! Oooh this version looks great, Katie! Great idea with the soaked dates, ya can’t even see em in there, wowza. I don’t have white or brown sugar at my house, but don’t think it’s demonic, just not beneficial and something I can live very happily without. i’m totally trying this!! dates are def sweet, so i think this will be a great substitution for the sugar. i also think they would be great for helping to overpower the bean taste. i’m going to the store now to grab some dates! 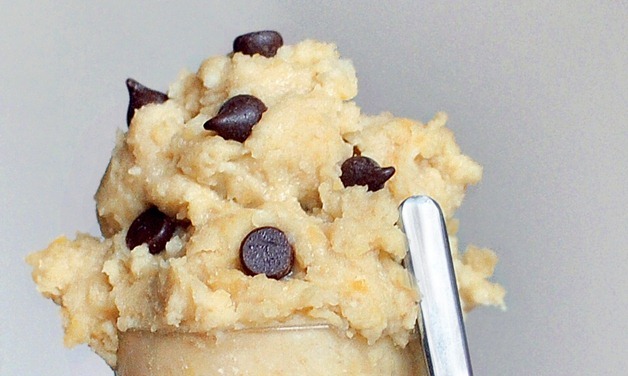 i just finished up a batch of your “cookie dough” i had made with pumpkin… yum! I know exactly what you’re getting at! Sugar is like a parasite, if you will. When you eat it, a lot, it becomes a fungus in the body. Your body starts craving it, and needs more sugar to feed on. The more you pile on, the harder it is to burn, making you lethargic and gain weight. What a lot of people don’t know is, many times CANCER IS CAUSED BY A SUGARY DIET! Many times cancer can be traced back to the candy bars you just could not resist. Or maybe the slices of cake you knew you shouldn’t have. Now please don’t take this and cut out ALL sugar. A little bit is fine. A little goes a loooooong way. Too much of it goes too far. So sugar itself isn’t much of a problem- it’s the way you use it that is the problem. I used to have a HUGE sweet tooth- but i trained myself to get into other flavors. Savor your food more. Never eat sugar at night! Eat spicy foods- it gives your health a real kick! But do not go off at once. In a few days, you will be back to high sugar. Decrease your intake gradually, and eat more fruit, which is naturally sweet. You’ll be good to go! So sorry for the long comment Katie. I hope some people will read it and kick the sugar habit. Oh Sarah, you are too cute! Long comments are my favorite :). I’ve been treating sugar like an addiction (excluding naturally occurring fruit and milk sugar). I read that the best and easiest way is to quit cold turkey. I would say that for me, that has been the safest way thus far (roughly 1 month in). What you don’t realize is that after being off sugar for a bit, your tastes start to change and you stop craving it. If I had ice cream right now, I’d go back to craving it and having to talk myself down from the cravings. It’s LARGE part mental. In a lot of ways, it’s actually easier to “Just say no” than it is to say “Just one”. Oh, yum!! Glad you linked to it – I would’ve missed it otherwise! Chickpeas – you are too creative!! I don’t think there’s anything wrong with any kind of sugar, but it annoys me anyway. Katie, have you ever tried this dip with your carmelized banana trick? I haven’t… it sounds like it’d be an awesome idea! I did try the brownie batter dip with banana in place of the sugar, and I liked that one :).